First Time Home Buyer: Buy, Don’t Rent – You Can Do It! A renter for 12 years, Samantha G. wanted to become a foster parent and felt apartment living wouldn’t be the most welcoming environment for a child. It was time for a house. Samantha didn’t think she could buy a home, so she began looking into townhouse rentals. Through her search, she came across an ad from Maine Source Homes & Realty that read, “Own, Don’t Rent.” Curious but suspicious, Samantha checked with the Better Business Bureau and learned that the company had an A+ rating. That gave her the confidence to talk with company founder Bill Turner about the possibility of buying or even building a home. Bill sat down with Samantha, and together they discussed her needs and reviewed her finances. Bill recommended the purchase of a small existing home, gave her some tips on loans and lending, and recommended a trusted contact at a bank who could help her with financing. He told her it was possible – she could own her first home and finally stop renting. 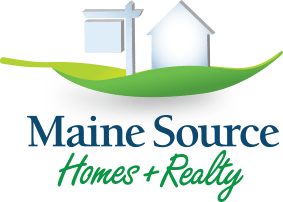 Samantha worked with the Maine Source team who showed her homes for sale all over the Lewiston/Auburn area. Samantha found a house she loved but was crushed when it suddenly came off the market. At the urging of her friends and with the support of Maine Source, she kept looking until she found, fell in love with, and ultimately bought her perfect home. Samantha enjoys her new role as a homeowner and says that it makes her feel like a responsible adult. She has plenty of projects to keep her busy, including an extensive garden to which she gives a lot of attention. Like many before her, Samantha discovered that she too could experience that special sense of pride in owning her own home. And with the help of Maine Source’s team of dedicated experts, she could make the dream of home ownership a reality. If it seems out of your reach, don’t give up. Maine Source can help you find your way home.